Last week, Sunith shared with us the spiritual and physical truths about worry. He took to a text- Matthew 6:31-33- “So do not worry, saying, ‘What shall we eat?’ or ‘What shall we drink?’ or ‘What shall we wear?’ For the pagans run after all these things, and your heavenly Father knows that you need them. But seek first his kingdom and his righteousness, and all these things will be given to you as well.” Instead of worrying, what is it that we should do? Seek first his kingdom and his righteousness. Q. What does that look like- to live a life seeking first his kingdom and his righteousness? I want to do that, but how do I do it? Did you ever ask yourself that question? What the Word demands from us, he also supplies us. We will return to Mark 1 today. There the Lord has provided us a picture of a life lived pursuing his kingdom and righteousness. Colin said at the beginning of the year said that we should be people who are marinating in the word. We need the word in two ways- slowly and fast. This is a picture of what a life lived seeking first his kingdom and his righteousness looks like. The example we draw is from Christ.1 Corinthians 11:1- Be imitators of me as I am of Christ. Earlier in this passage, we noted some weird things. Mark quotes a snippet of Isaiah 40 so we may recount the value of all the things it says. We understood that God is the one for whom Isaiah was calling, John is calling to make straight the paths- who will come wearing sandals. 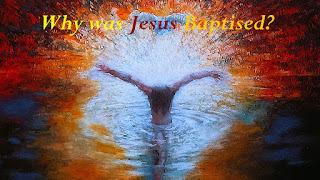 In those days, Jesus came from Nazareth and was Baptised by John. The heavens parted and a voice came from heaven saying, “You are my beloved son. With you I am well pleased”. Q. Why is Jesus getting Baptised? What sins does he have? From what does he repent? This is not weird, it’s enlightening. We will answer this question in the end. 1. Baptism: Exodus 4:22-23- “Israel is my firstborn son... Let my son go, so he may worship me.” God is saying to Israel you are my beloved son. Israel would agree that throughout their time in OT they were not pleasing to God. But in this son (Jesus Christ) he was well pleased. God is setting up a comparison. 2. Overcome sin and Temptation: In Verses 12-13 it says that Jesus was then led into the wilderness for 40 days. 40 and wilderness- how long was Israel wandering in the wilderness? 40 Years. This son is seeking the kingdom perfectly. In Matthew 4, we look at the fuller version of what happens. Jesus is tempted with the very same temptation that Israel went through- to lean on its own sufficiency. But where Israel failed, Jesus thrived. Jesus overcame sin and temptation by means of the Spirit and the Word. In this way, he models for us how to seek his kingdom. 3. Proclaiming the Gospel- encouraging God fearers and those who do not believe: V 14- calling of the disciples. Proclaiming the Kingdom- for others to repent and believe. He starts with the God fearers. But he calls them to a new level of obedience. We should do the same. In your life there are people who believe, but are not living a life seeking first his kingdom and his righteousness. We ought to call them to seek first his kingdom. V. 36-39- Jesus is not just calling the God fearers. He is calling to repentance and belief, those who know nothing about God. 4. Engaging the darkness around us- v. 23-26- a man with an unclean spirit. V. 29-34- Simon’s mother-in-law, the whole city, etc. through prayer- asking that the Lord would heal our friends and neighbours, and to remove spirits of various kinds. We should do the same. 5. Recognising the authority of Jesus: Jesus also recognised that he is authoritative. Jesus is our authority. We must recognise the authority of the word of God. What it says, we must do. 6. 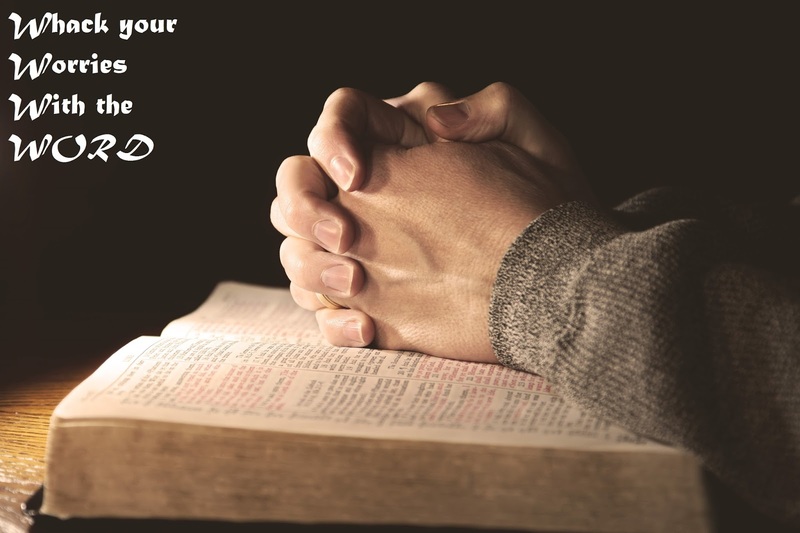 Pray- Jesus devotes himself to prayer- spending time with his heavenly father. In walking in such a way as to please God and seek first his kingdom and his righteousness- these are the things we ought to be doing. Jesus is fulfilling all perfect righteousness. 2 Cor 5:21- “God made him who had no sin to be sin[b] for us, so that in him we might become the righteousness of God.” Jesus came to earth to identify with us and to eradicate our sin. Isaiah 53:12 says that he was counted among the transgressors. He became to God our sin. He looks at the cross and takes it, kills it and offers himself as a sacrifice. Then he was buried and rose again so that we can be separated from our sin forever. This is exceedingly good news. Our life might not look like the life lived out seeking first his kingdom- not all of it, not every day. The life that Jesus lived on our behalf needs to be in us. What is missing from my life from these 6 things? And should we fail at something for whatever reason, we still praise and give glory to Jesus who gave us freedom in him through his life. All of us at some point worry about a problem that does not exist. Today we will talk about how to whack our worries with the word! Think about how dangerous worrying can be. Statistics attribute more than 100 diseases to worrying. It can take away not only our physical strength but also our spiritual strength. Worry says God is either dead or does not care about our situation. These words are from the prince of the air who doesn’t want us to succeed. When we worry we automatically cease to trust. Worry is like a rocking chair- it keeps you busy but doesn’t get you anywhere. We are worried about everything- clothes, health, relationships, marriages, spiritual life, etc. We need to learn how to deal with it. Q. What does the Word say about worrying? Worry displays the lack of faith in God to cater to your needs. We have a God who knows what we have faced in our lives and even what we will face tomorrow. By this we know that we have a God who sees what we are going through. Hebrews 4:15 says that we don’t have a high priest who is unable to sympathise with us. Jesus has been tempted in each and every way that we have been tempted. He also cares for us. 1 Peter 5:7- “because he cares for you” This is a great assurance. In Matthew 6 we saw a command to obey—to seek his kingdom. How do we do that? We are counselled to pray. Q. Why do we pray? 1. Prayer leads us into the presence of God. We acknowledge God for who he is- our saviour who loves us. Let us declare who God is. 2. We also adore him- worship him. We leave our worries to get lost in his presence. When we have our eyes fixed on Jesus, we automatically see that he grows bigger in our hearts, making the problems seem smaller in our minds. When we confront trouble, the greatest resource for us is the ability to step into his presence where the worries and troubles cannot follow. Job 1:20-21- “At this, Job got up and tore his robe and shaved his head. Then he fell to the ground in worship and said: “Naked I came from my mother’s womb, and naked I will depart. The Lord gave and the Lord has taken away; may the name of the Lord be praised.” This how we praise God. We see that all these people are praying for one another. Q. What are requests in prayers? A detailed prayer about something specific- is a request. He has promised to hear and to answer. Jer 33:3- “‘Call to me and I will answer you and tell you great and unsearchable things you do not know.’” God is saying that he will tell us unsearchable things. We only need to ask. Q. What should our attitude be when we pray? Attitude when we pray- thanksgiving. Why? Because God promises to answer our prayer. It may not be immediate but he hears it and it is answered in the right time. This message was preached by Justin Jaykumar at Word of Grace Church on May 1st, 2016. To listen/download the audio please click here. Week after week, we meet here and worship together. We are all at different places in our relationship with Christ. Christian life is a journey with Jesus. Q. 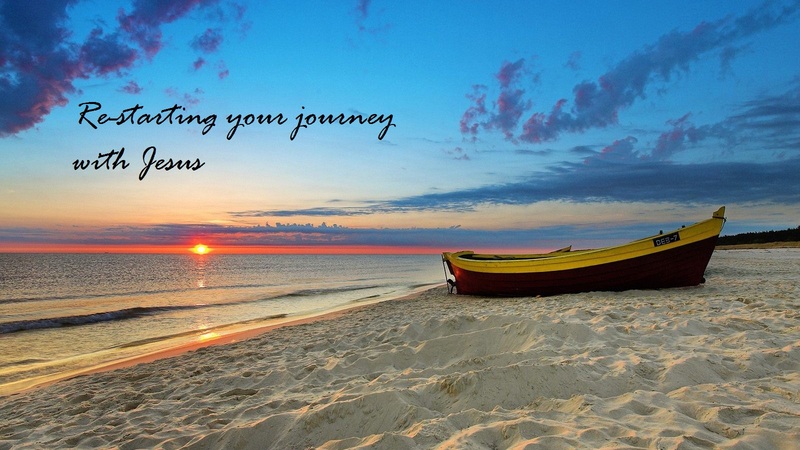 Where are we in our journey with Jesus? The Disciples had a living, moving experience with Jesus. 1. It is back to square one- the disciples go back to square one. They started in the Sea of Galilee. They left everything to follow Jesus. For three years! Do you remember the day you met Jesus and what happened to you? The excitement, the joy of reading God’s word- having our quiet time. A peace covered us- a longing to be with God and his people. The disciples also experienced this. They left their people, profession, possessions and place. But here in this story, something strange is happening. We see them going back to a very familiar ground- their comfort zone- their profession. They went back to that place. Q. Why did they go back? Familiar ground gives us self-worth and security and significance. They knew the Sea of Galilee like the back of their palm. It is a temptation for all of us. What if Jesus fails? When things get tough, we go back to the place which we think is the refuge. And Peter did not go alone. He took others as well. When you go back, you take others with you. 2. Jesus stood on the shore but the disciples did not recognise him. When you go back to square one you fail to recognise Jesus. We go away from Jesus. That initial love dies down. You no more recognise him- cannot hear his still small voice. God’s word does not bring you anything. When you are sliding, there is no interest in spiritual things. We need to take note of this situation. 3. They failed to catch fish: They toiled the whole night and failed in the very thing they went after. It must have been embarrassing. Peter’s journey began in the same place. The disciples were more concerned about the earthly kingdom. When Jesus was crucified, their dreams were shattered. They were in hiding. Q. where are we in our journey? Are our expectations not met? Do I also stand in the same place where I began, am I discouraged or disappointed? Are you wondering what are my accomplishments? The passage ends with Jesus inviting them to eat with him. They cast the net where he asked them to. They realised it was Jesus and they came back to shore dragging the net. Jesus came to where they are. He did not wait for them to return with shame. He came down into this world. He comes searching for us. He does not come to put us to shame. He calls them friend. He asserted their place in him. He wanted them to start their journey again with Jesus. Even this morning, if you are stuck somewhere in your journey with Jesus, he still calls you his friend and calls you to resume a journey with him. 1. Recognise that we need help- In verse 5 and 6, Peter recognised that they had failed. If we acknowledge that we have failed, the help comes from the Lord. 2. We need to obey Jesus- They cast their nets and they caught multitude of fish. As a result, their life was full of blessings. Obedience leads to blessing. Even with the net full, it did not break. We began worship by remembering the people who went before us who obeyed God. 3. Share your blessings: In verse 10 Jesus asks to bring the fish they just caught. Jesus involves you in his work. He calls us to share our blessings. You are called to surrender your blessing in the hands of Jesus. At the beginning of their journey he said, come I will make you fishers of men. 4. Come and eat with him- In verse 12 we see that the breakfast is ready on the shore- they went searching for fish but Jesus provided it for them here. What are you searching for? Whatever it is, it is available with Jesus. We are all awaiting that great feast. As we make Jesus the Lord of our lives, our journey will be full of blessings. If you are stuck somewhere in your journey with God, respond to his invitation, obey his voice, share your blessings and commune with him again.